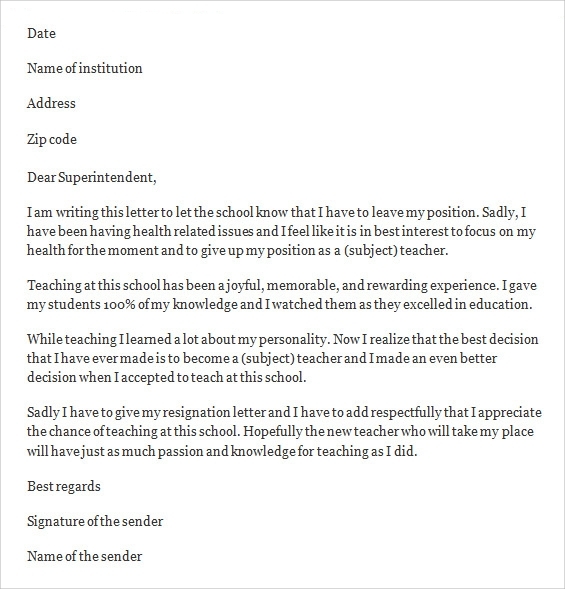 Now that you have decided to move on, it’s time to give a Formal Resignation Letters to your seniors and the HR department. While you are leaving them for your own personal reasons, you can’t be rude and straightforward. 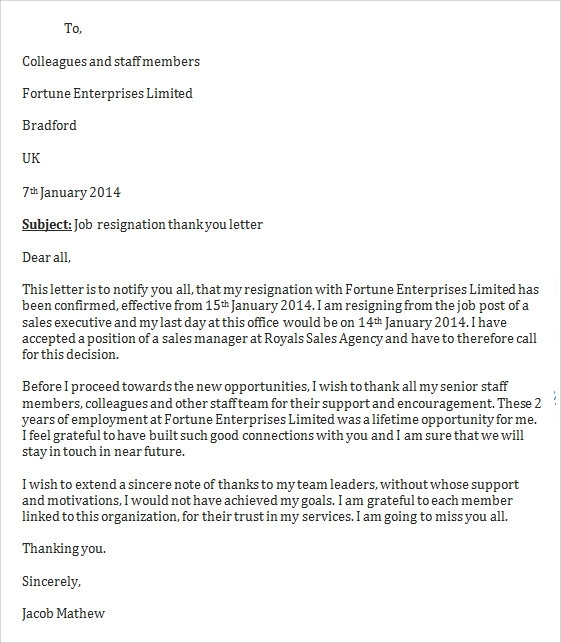 It’s always best to leave the job on a positive note, no matter how hard the time you spent with the company. 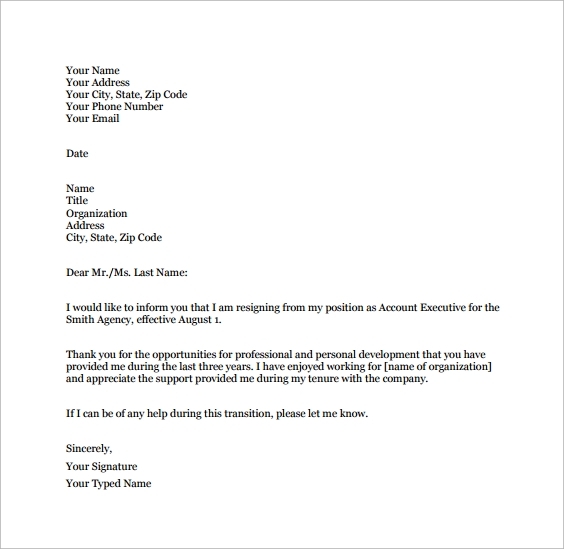 Here, we have a multitude of job resignation letter templates which you can use to create a resignation letter appropriate for your purpose. 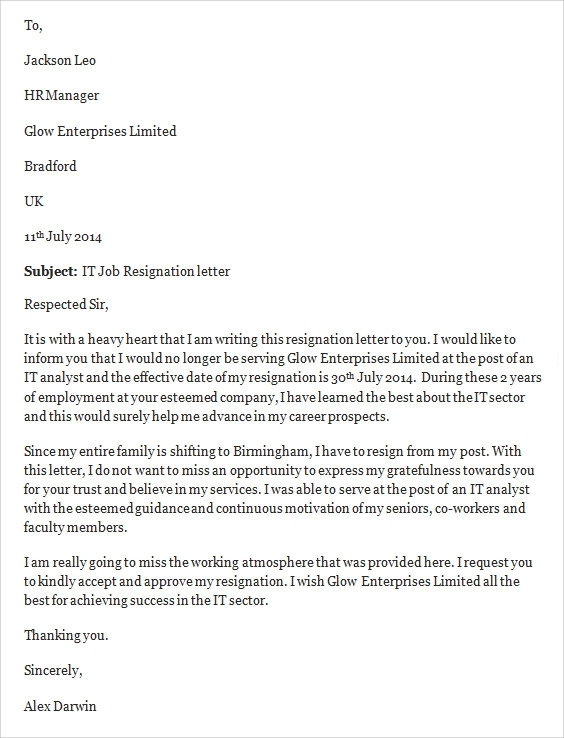 Usually, an informal job resignation letter is handed out to the seniors to intimate them that you are planning to quit. There is scope for negotiations after this, especially if it’s possible for the current employers to solve your problem with the company. 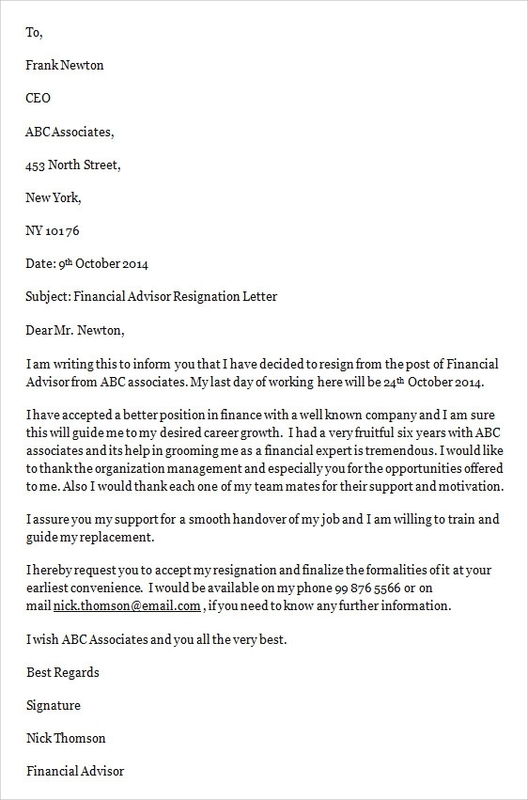 If things are not negotiated, a formal job resignation letter is submitted after an informal one. 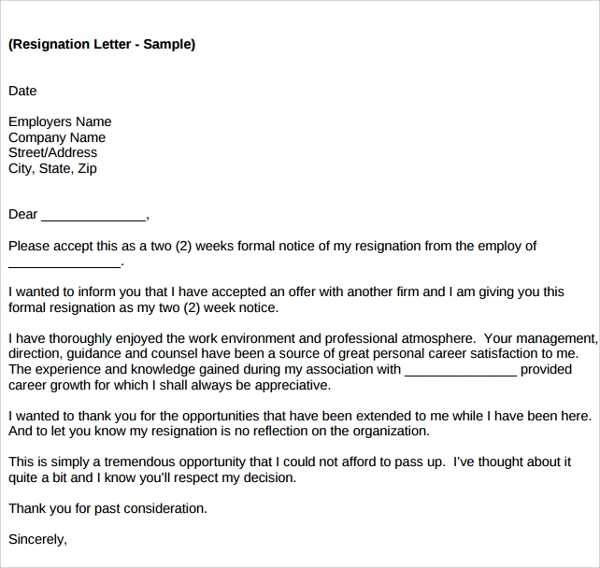 Most companies expect you to give a resignation letter at least one month before the date you are planning to quit. During this one month, you will be completing your pending tasks, and handing over your responsibilities to other staff members. 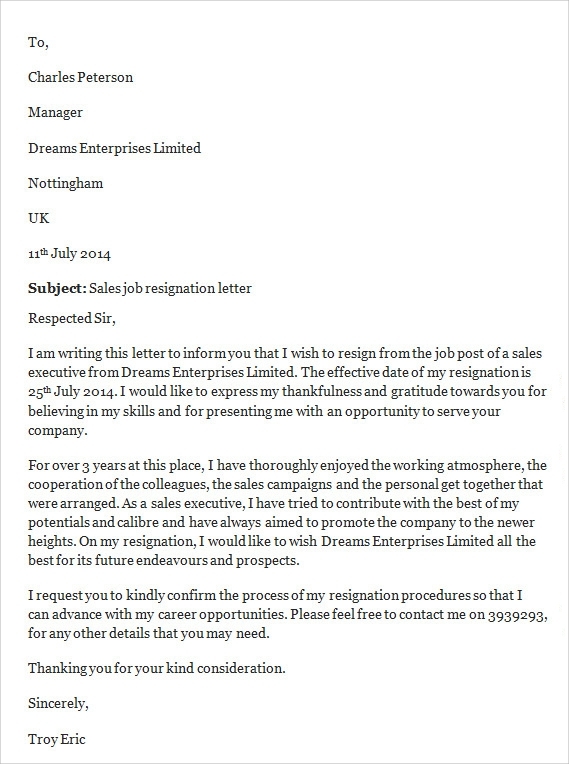 The company also gets one month’s time to find a replacement for your position. 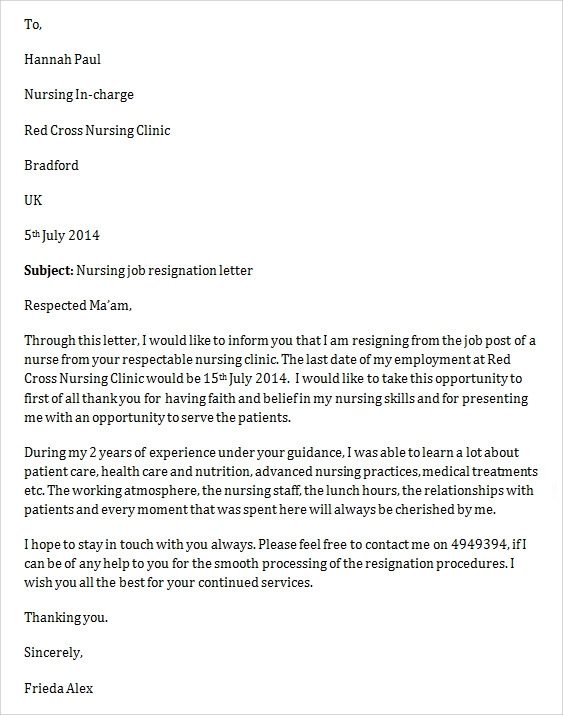 Although giving resignation in advance is required, there might be certain situations when it becomes necessary to quit the job all of a sudden, such as a medical illness, accident or disability. 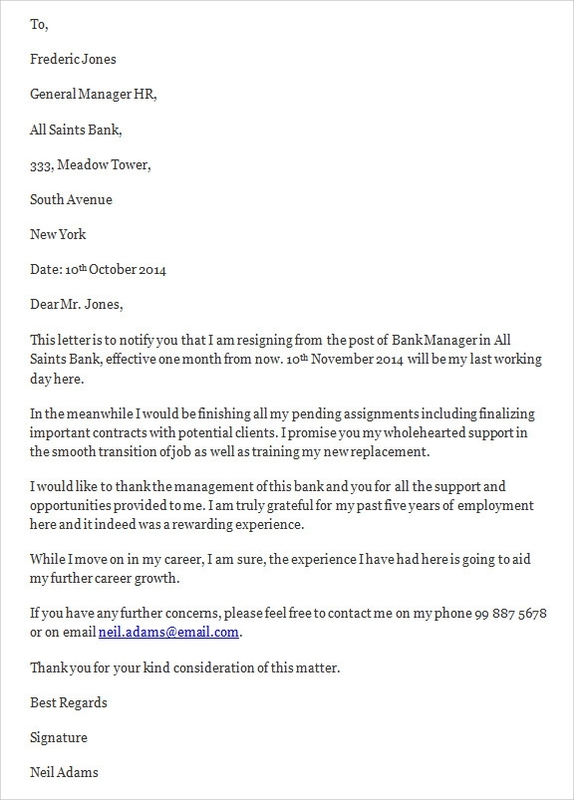 Under such circumstances, you will be required to submit a job resignation letter without notice period. You can create one with a special template available here. Sometimes, you want to improve your profile by going through higher studies. 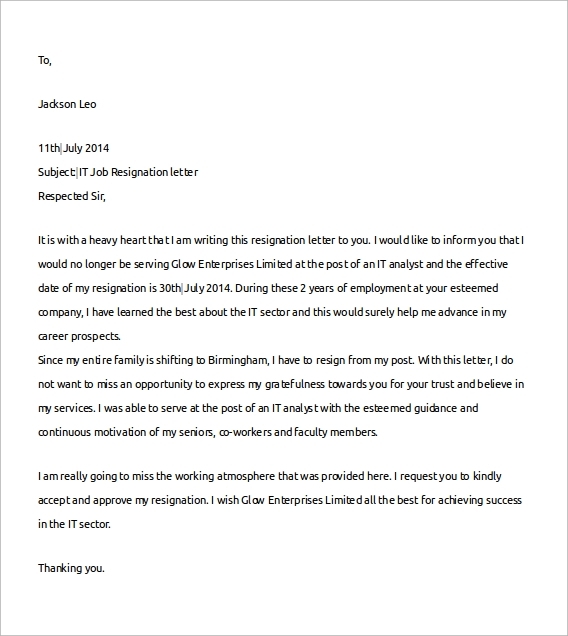 While most companies encourage you to improve your qualifications, and some may even sponsor your higher studies, others may not want to compromise on your productivity and may ask you to leave. 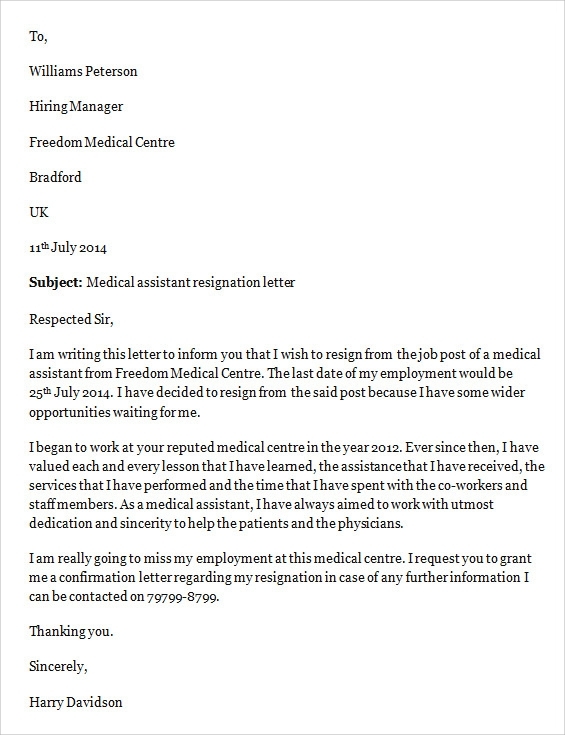 Sometimes you may also decide to quit the job because you want to go to a foreign country for your studies. 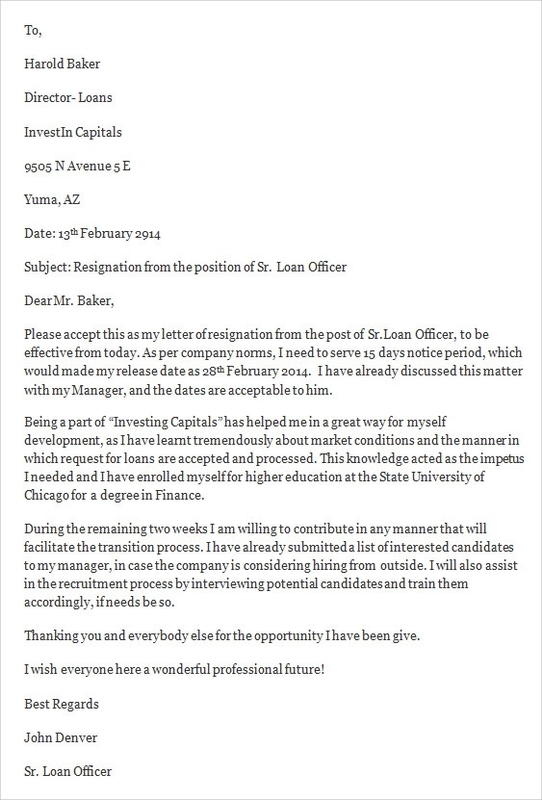 Such a resignation letter should be made special with a job resignation letter template for higher studies. 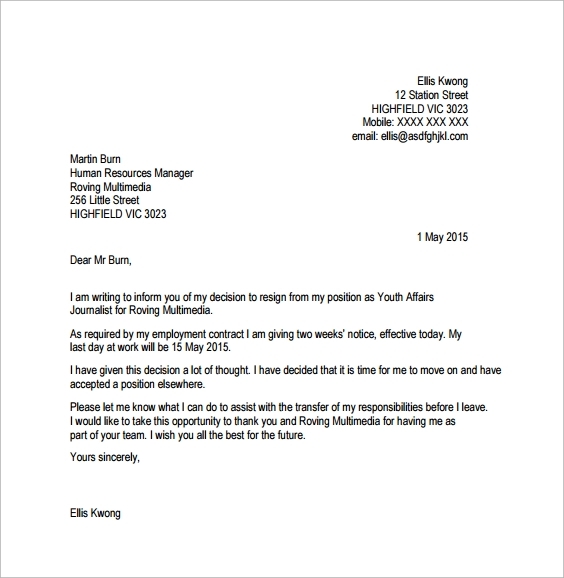 A job Resignation Letter Format Example Template consists of all the statements you need to make while quitting a job, that too in a positive note. 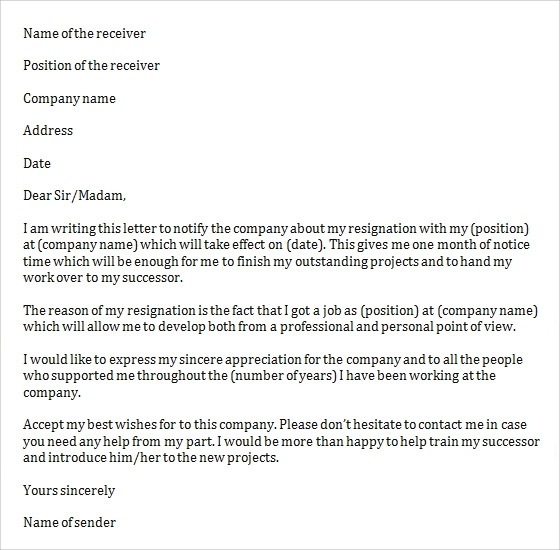 If you create it yourself, you may sound rude while declaring that you are leaving. But a template tells you how to do that politely. 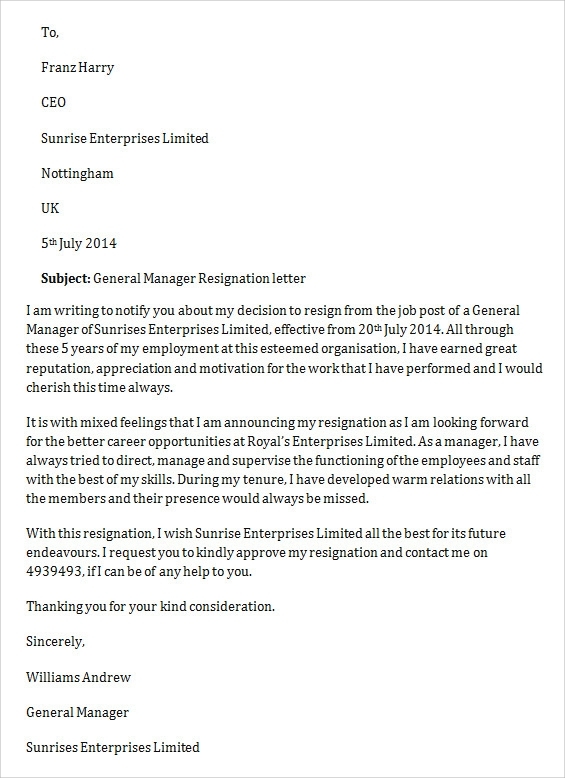 The job resignation letter templates available here are easy to download, and can be used to quickly create a professional looking Resignation Letter Format. There are different types of templates available here, from which you can choose the one appropriate for your requirements.